Plant a tree (or twenty) with us on June 28th! We’re going up to the historic London Mine near Alma on Saturday, June 28th, to help revegetate part of the site that’s being reclaimed. It’s a great chance to get out of town and head up into the hills! Get all the details on our event page here! FOUR DAYS LEFT TO APPLY FOR THE SCHOLARSHIP! Simply put: you (or a college student you know) have 96 hours to fill out this (very quick) application and send it to us for a chance at a two thousand dollar scholarship. Get your app and instructions here, and send it over! TWO WEEKS LEFT to apply for our scholarship! Majoring in environmental science, geology, range science, biology, or other related fields? Our $2,000 scholarship can buy a lot of Rite-In-The-Rain field books. Or help pay for that great field trip to Patagonia. Or fund exam-time burritos. Whatever you need, we want to help someone outstanding get their degree. Check the application page for details and apply by March 14th! Great Breakfast at ELK and Eggs! 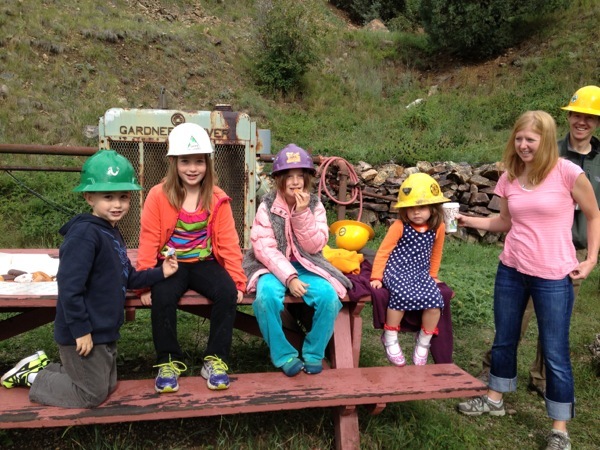 DLB Board members supported Environmental Learning for Kids. Joining forces and building alliances to create opportunities for youth in natural resources. Alan Bucknam, Scott Gilmore, Maggie VanCleef, Loretta Pineda, ML Richardson, Dwayne Smallwood, and David Burchette at ELK and Eggs at the Denver Museum of Nature and Science. Environmental Learning for Kids 4th Annual Breakfast. ELK connects our Kids to the environment. Friday October 11, 2013 7:30-9am at the Denver Museum of Nature and Science, 2001 Colorado Blvd., Denver, CO RSVP with ELK at 303-291-7503. 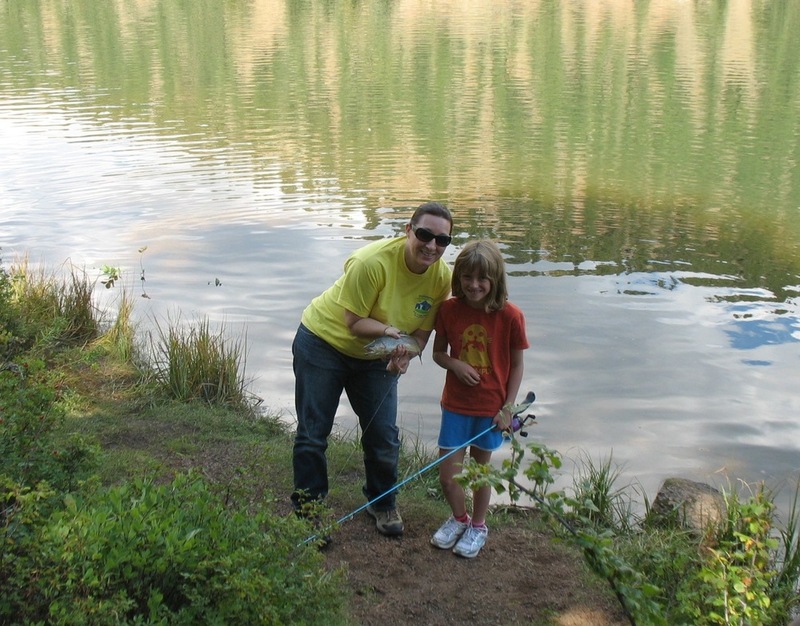 Stacie Gilmore (co-founder of ELK) and Emily Turner show off their catch at the BEDBUG event in 2011. We are excited to join ELK in promoting environmental stewardship and getting our kids outdoors! Join us August 24th for the Ninth Annual BEDBUG Hat Trick! 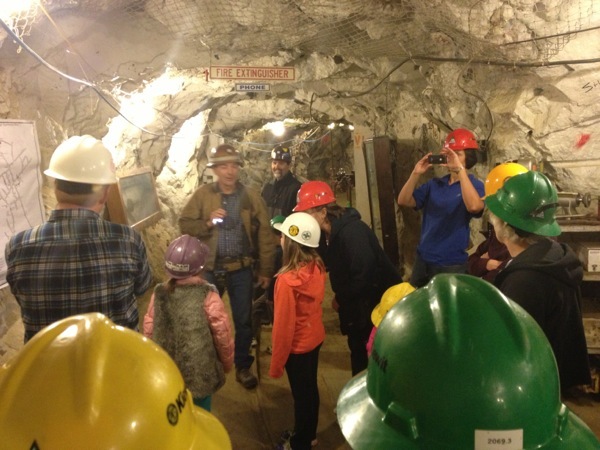 BEDBUG goes underground this year, with a tour of the historic Edgar Mine in Idaho Springs! Never fear, though, there's plenty of fun to be had at the park after the tour as well, including beverages from Tommyknocker's Brewery (rated "Best Root Beer" by one of our younger tasters). Check out the event here. We're pleased to introduce a new and improved website for the David L. Bucknam Memorial Scholarship Fund! The site should be quicker to load, look better on smaller screens, and allow for more interaction between us and our community (that's you!). Please don't hesitate to let us know what you think of the site, and how we can make it better!